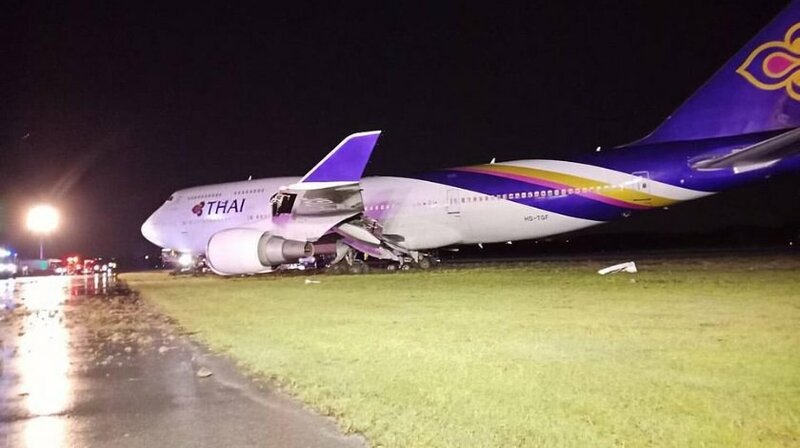 A Thai Airways Boeing 747-400, carrying 97 passengers and 18 crew members from Guangzhou, slid off a runway while landing at Suvarnabhumi airport in heavy rain. Suvarnabhumi airport authorities said there was a passenger with sprained ankle following a medical check-up at the terminal. The airline reported that ‘while the pilot was landing the plane at Suvarnabhumi Airport heavy rain caused the aircraft to slip off the runway. The pilot could park the aircraft safely and bring the passengers with the crew down to the terminal’. Aviation authorities launched an investigation into the accident. 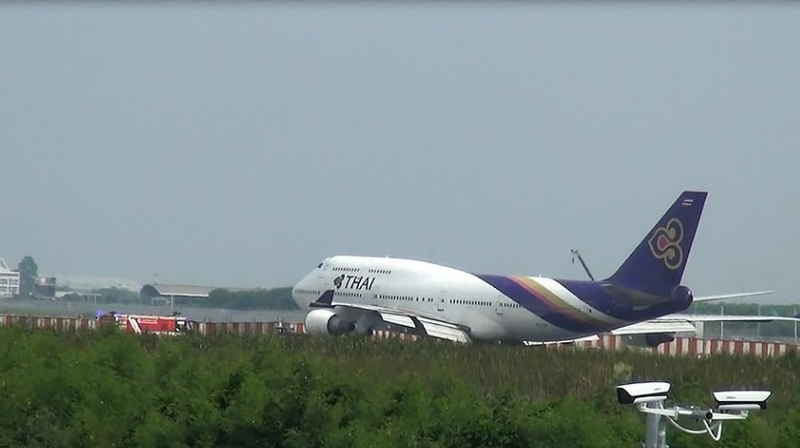 In a statement Thai Airways said the company will contribute to the investigation to accelerate it. After passengers had descended on the inflatable slides they were safely transferred to the main terminal and given complimentary snacks while they waited for their luggage.